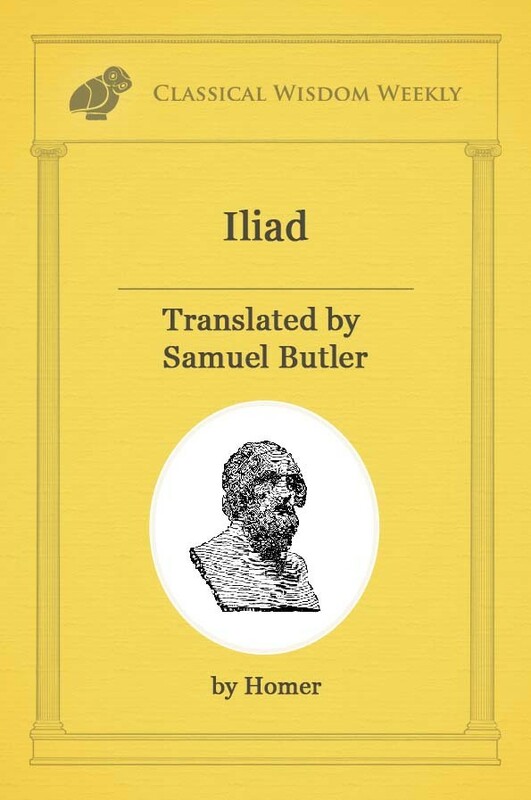 Commissioned by none other than Gaius Julius Caesar Augustus after his decisive victory at Actium over Antony and Cleopatra, Virgil’s Aeneid is a patrilineal tale tracing the pedigree of the Italic people from the mythical, stalwart Trojan heroes. A glory to the Trojans and the Romans alike. Indeed, both the Trojan Aeneas and the emperor Augustus were leaders who were thought to have ushered in a new “golden age,” a Pax Romana, by waging war to end all wars, and as such, were hailed for their imperial accomplishments. 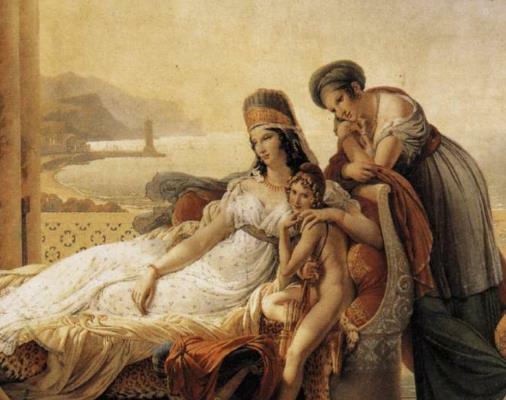 Forasmuch as the mythical Trojan hero Aeneas may have represented Augustus, most scholars agree that Dido, Queen of Carthage (modern day Tunisia), was modeled on the jezebel and much-admonished Queen of Egypt, Cleopatra. But who was Dido? And how was her fate implausibly linked to that of the Roman Empire? 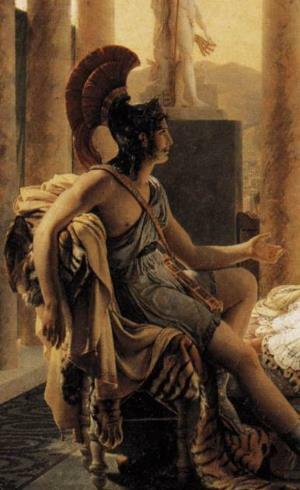 Upon discovering that her brother had a hand in the murder of her beloved husband Sychaeus, Dido, the daughter of the King of Tyre (present day Lebanon), fled her home to the coast of North Africa. Upon arriving, she asked the locals for a small bit of land, no more than the size of an ox-hide. Resourcefully, she cut the hide into thin strips marking an area around a hillside as her new domain. And thus, Carthage was born. The colony grew quickly and became prosperous. It is at this point in her story that Aeneas enters the scene. But he doesn’t come alone. Imbuing its will on the mortals of the story, there is a divine force running throughout The Aeneid. Unbeknownst to Dido, the gods are covertly involved both in Aeneas becoming shipwrecked on Carthage and in Dido falling head over heels in love with him. 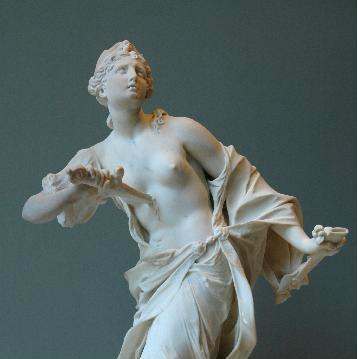 The latter is due to Aeneas’ mother, Venus—goddess of love, playing a capricious role in the events. Concerned that Dido would be inhospitable to Aeneas when he washed up on her shore, Venus schemes to have Dido fall in love with him. And as the gods ordained,Dido soon becomes infatuated with Aeneas. But even at the mercy of the deities, Didoinitially remains steadfast against acquiescing to his charms due to a sacred vow she had taken on the ashes of her late husband. It is on account of this equivocation that both Venus and Juno—goddess of marriage, intervene. They contrive a thunderstorm from which the lovers must take refuge in a cavern. Eager to spur the affair along, the goddesses then stage a wedding for the two mortals in the cave. 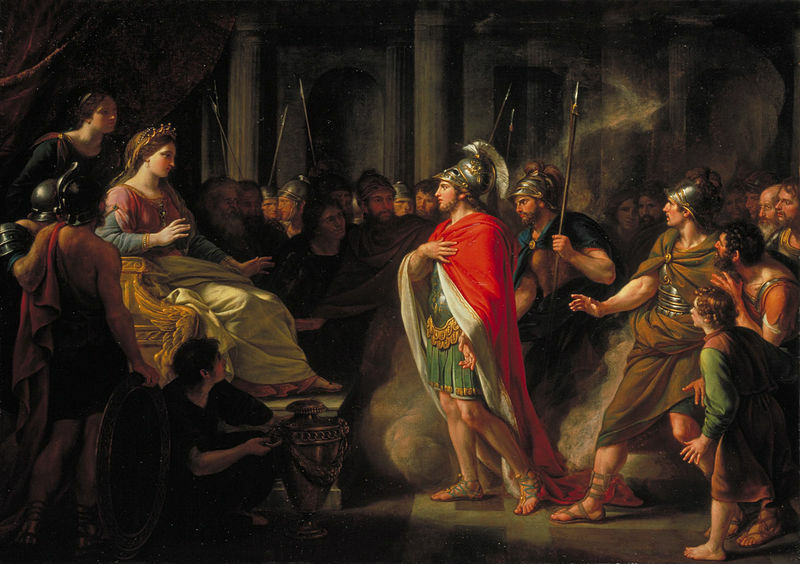 The marriage scene is ambiguous; while Dido considers it legitimate, Aeneas disavows its authenticity. Inasmuch as the gods were culpable for Dido’s love of Aeneas, they were still hell-bent on keeping Aeneas faithful to his imperial mission. Indeed, Dido’s fate is in direct opposition to Aeneas’ as she ultimately becomes abandoned for his patriarchal duty of founding an empire. In fact, the word pietas(pius; sense of duty) is used frequently in reference to Aeneas. But while he exhibits pietas in his love for country, the term does not apply to the women in his life. When Troy was on fire, he carried his father on his back and held the hand of his son but forgot about his wife Creusa, whom he left to die in the burning city. Likewise with Dido, no sooner is he called away on his mission than he heartlessly leaves her with nothing resembling pietas. Before embarking on his sovereign adventure, however, Aeneas is Dido’s constant companion, playing an indispensable role in buttressing the fortifications of her beloved Carthage. It is at this point in the story that Jupiter—king of all gods, expresses his impatience at Aeneas for putting off his hegemonic exploits. The lord of the gods dispatches his messenger Mercury to scold the Trojan hero into fulfilling his true destiny. Being admonished at the behest of Jupiter is all Aeneas needs to do an about-face as he subverts the love of Dido for his duty of empire. In Aeneas, Virgil created a man who is a prototypical Roman male, both in his stoicism and call to duty. For Roman heroes, personal and political choices cannot co-exist; one must be renounced for the other. Aeneas has no problem shirking his responsibility to Dido for what he considers the greater good of mission. In this way Virgil’s hero is an antithesis of the flesh and blood Antony, who was perceived as squandering an empire on account of the wiles of a woman. Just as cavalierly as Aeneas took up withDido, he, as coolly, tosses her aside as he plans to set sail for the land which would become known as Italy…. And all the while keeping his mission hidden from her. Disgraced, humiliated and degraded, Dido is cruelly used by the gods and their golden boy Aeneas. Although her love for Aeneas was fated and beyond her control, she takes full responsibility for it and does the only noble thing a queen can do in her debilitated position: She decides she must end her life. In the last quarter of Book IV aptly titled “The Passion of the Queen,” Dido is frenetic. On account of her lover’s hasty retreat, she is overcome with a rage she can neither control nor contain. After plunging the Dardan sword—a gift to Aeneas, into her chest, she climbs atop a funeral pyre made up of the vestiges from their life together, cursing the “cold Trojan” at the last. Dido is driven to this state of mania at the mercy of a fate that was divinely ordained for the good of the empire. As this tragic sequence of events ends Book IV, Book V takes us a world away and the great divide between Virgil’s star-crossed lovers becomes apparent. 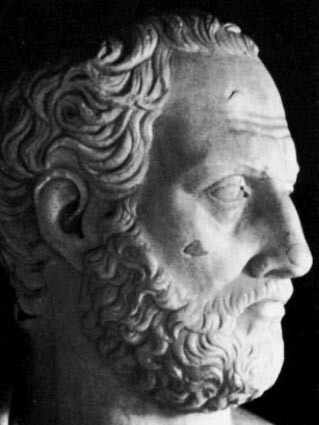 Aeneas, sailing west on his venerable task, is a man detached and completely removed from the horror ofDido’s untimely passing. In direct opposition to Dido’s calamitous suicidal frenzy, Aeneas is portrayed as being calmly in charge and fully present in mission. 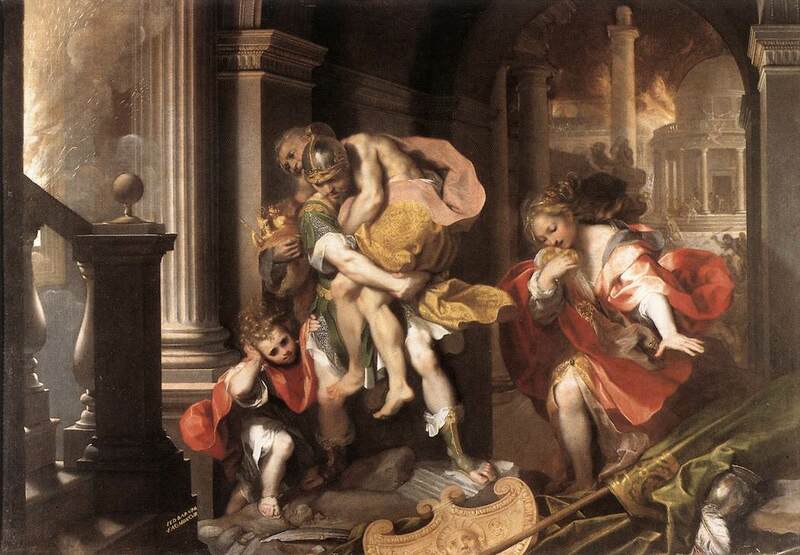 In Virgil’s depiction of imperialist agenda, Aeneas’ destiny is acknowledged to be both noble and righteous, regardless of those he leaves in his wake. Although Virgil’s Dido was fashioned on the much-reviled Cleopatra, she comes across as extremely sympathetic. Ironically for most contemporary readers, the story of Didoovershadows that of Aeneas’ quest for empire. Traveling to the underworld in Book VI, Aeneas encounters the shade of Dido, who is as stoic to him as he was to her on his abrupt departure from Carthage. The last glimpse ofDido has her returning successfully to her former husband, Sychaeus, the man for whose death she took a vow of chastity. Finally in The Aeneid, there is a genuine feeling of love between two people with no magic involved. Only in Virgil’s underworld, there is redemption for Dido, as is befitting a queen.